In the distant future high school kids are encouraged to become citizens by joining the military. What they don't know is that they'll soon be engaged in a full scale war against a planet of alien insects. The fight is on to ensure the safety of humanity. Taglines: In Every age there is a cause worth fighting for, but in the future the greatest threat to our survival will not be man at all. 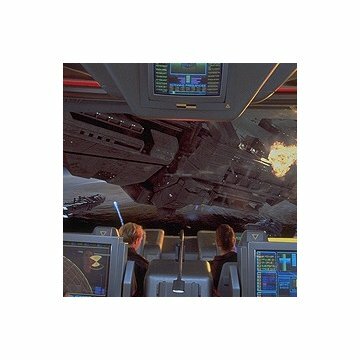 Now the youth of tomorrow must travel across the stars to face an enemy more devastating then any ever imagined. Fort Ticonderoga is a real fort in upstate New York that was active during the mid 18th century. It was used during the 7-years war with the French and then again during the American Revolution against the British by American troops. Continuity: A bug's leg pierces Carmen's shoulder when she is captured. After rescue by Johnny, the blood remains, but her uniform has no visible hole. She also seems noticeably unaffected by the injury, able to use her shoulder easily. Young kid dressed up as a soldier: I'm doing my part too. This movie never fails to generate strong reactions, both positive and negative. Much of the negative criticizes the wooden acting, soap-opera beautiful stars, and unreasonably military tactics that lead to an enormous human body count. But that misses the whole point. The actors and plotlines are supposed to be caricatures of themselves. We are presented with a seemingly utopian society, where everyone is beautiful, the world is united under a single government, and patriotism is rampant. The further the movie goes, the more the viewer realizes just how horrific this supposed utopia really is. Patriotism is exploited to trick young men and women into going off to a pointless war. 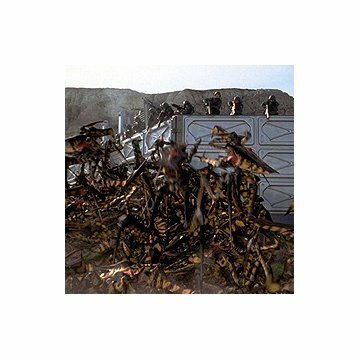 The beautiful people are mercilessly chopped to pieces by their insectoid opponents. And the united world government uses its control of the media to brainwash the public into supporting this bloody war. Yes, the Nazi symbolism is a little heavy-handed. But that's the whole point -- the intertwining of this "perfect" society with such a deeply evil subtext is supposed to be disturbing. What's even more disturbing is how close to our recent (American) history this movie truly is. Yes, it's a caricature, but it's a caricature of a very real and frightening phenomenon. How different are the government propaganda ads in Starship Troopers from the "Loose Lips Sink Ships" campaign or the "10% for War Bonds" posters in 1940s U.S.? How dangerous is it to have a society where everyone looks the same, thinks the same, and acts the same, even to their own death? 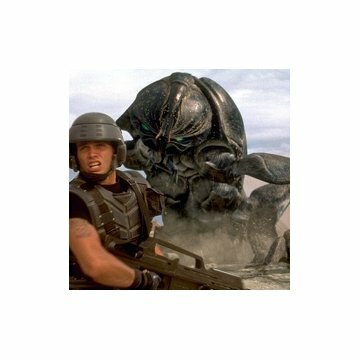 This is the message behind Starship Troopers, and it's a chilling one at that. And for me, it works.